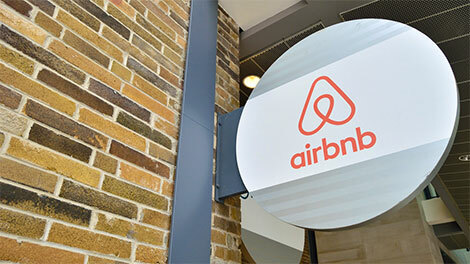 The practice of renting properties in Cyprus through Airbnb and other websites has come under the scrutiny of the tax authorities who are looking to address the problem of tax evasion on rental income received. APPROXIMATELY 20,000 properties in Cyprus are rented via Airbnb and other websites and although some owners are paying tax on the rental income they receive, others manage to avoid paying tax. The House Finance Committee discussed the renting/leasing of properties via Airbnb and other on-line services yesterday with a view to plugging loopholes in the law. Yiannis Tsangaris, the tax commissioner, explained that the laws need to be changed in order to tax on-line generated rental income – and the first step would be to permit the relevant authority to set up a register of short-term leases. The author of one of the bills, DISY MP Averof Neophytou, said that law must require the owners of properties who rent them out via Airbnb and other on-line services to register those properties with the authorities; owners who failed to register would be held responsible; a fine of €5,000 was suggested. Mr Neophytou pointed out that single day leasing is illegal. A second bill, proposed by EDEK MP Elias Myrianthous, would enable properties that are not currently registered with the Cyprus Tourism Organisation (CTO) to be registered and regulated. Greece introduced legislation a few months ago to tax annual rental income: 15% on income up to €12,000; 35% for income between €12,000 and €35,000; and 45% on income above €35,000. Similar legislation has also been introduced in the Netherlands, Britain, Germany, Spain and other European countries. Other countries goverments have also set a standard for the swiss franc scam, why not Cyprus ? or is the EU only when its suits the Cypriot Goverment ? Your probably find that most of these rented properties on Airbnb are mortgaged under the Swiss franc scam. The house of finance committee needs to be chasing the banks for the crisis they have set. before looking at chasing Tax avoidance etc. Most of these properties may not even be rented out as people would not be in the predicament of having to rent out to make extra money only to give the banksters that caused the crisis in the first place. Sort the real problem out first then the tax Avoidance issue. You probably find it would be a lot less. If the real problem was sorted first. Wake up Finance committee! This just fuels the way for more Illegal activity in Cyprus. Which nobody wants surely for Cyprus. its needs to become a better place. Ed: It appears that the authorities are only willing to tackle ‘low hanging fruit.